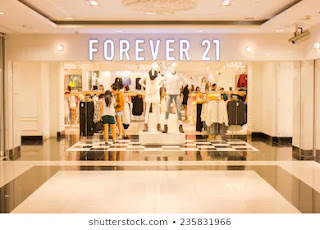 Forever 21: Free $5 off a $5 online purchase! If you have a Forever 21 store near you, check out this deal! Now through April 27th, you can get $5 off your $5 or more purchase when you use the promo code TAKE5 at checkout! Choose free in-store pick up to avoid shipping charges! This does work on sale items, so you can snag a few things for free! Free Mother's Day card from your pet! Hurry and send a FREE Mother’s Day Card from your pet mailed right to you! You can also send one to a friend if you wish as well. Free sample L'Oreal Paris Selt-Tanning Towelettes! 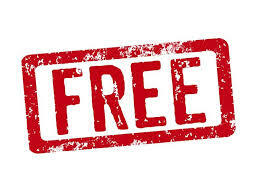 You can request a FREE sample of L’Oreal Paris Sublime Bronze Self-Tanning Towelettes. AMC Theaters: Summer Movie Camp for Kids with $4 ticket, popcorn, drink and snack! AMC theaters will once again be hosting a Summer Movie Camp and offering $4 Kid-Friendly Movie Tickets on Wednesdays at 10 AM (beginning in June)! The $4 ticket will include a free KidsPack of AMC snacks complete with a kids popcorn, fountain drink, and FrootiTooti fruit snacks! Awesome! Head to the AMC Theatres site for more details and to find a participating AMC theater near you. 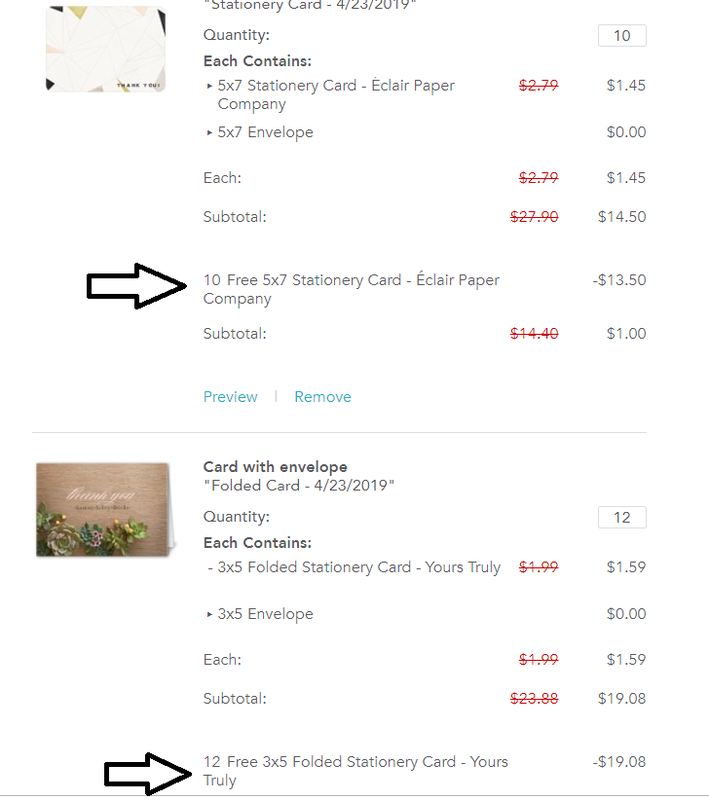 Shutterfly: 20 Free Customized Cards for $1 shipped!! Ends tomorrow, 4/24! Today and tomorrow, you can get 10 Free Cards (with rounded edges) when you use promo code SPRINGDEAL at checkout. Plus, get free shipping when you use promo code FREESHIPCARDS at checkout. You can add another 12 3x5 folded cards and use code 10GRADCARDS to get them for free as well! I got 20 cards for just $1.06 shipped! What a deal! These will be great for Thank You cards for birthdays! Sweet! 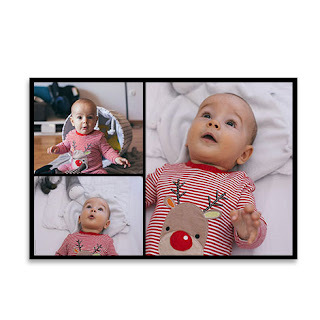 Now through April 23rd at 11:59 pm ET, you can get a Free 8×10 Photo or Collage Print (up to $4.49 value) at CVS hen you choose same-day pickup and use the code HAPPY810 at checkout. Choose in store pick up to avoid shipping! Online only; one per customer. Free Pizza Hut P'Zone for Sprint Rewards customers with App! 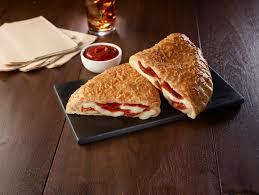 Sprint Customers can get a Free Pizza Hut Pepperoni P’ZONE in the Sprint Rewards app! Available now through 4/28 only! You can get a FREE 8x10 Photo print at Walgreens with coupon code 8X10APRIL at checkout, now through 4/21! Note that this offer is not valid in-store. Choose in store pickup to avoid shipping charges! JCP: Free Chocolate Bars with mystery coupon inside- save up to 50% off your total purchase! Today through Saturday, 4/18-4/20, stop by your local participating JCPenney store where they will be handing out FREE Sweet Sale Chocolate Bars with a coupon inside valid for 30%, 40% or a 50% off your entire purchase of select apparel, shoes, accessories, and more! Chocolate bars with coupons are available in-store only while supplies last, and there’s a limit of one per person. Note that exclusions will apply, so be sure to read the fine print on the coupon for full details. Huge list of coupons, freebies, sweeps, contests, samples and more!